The new EZ Tracker 2.0 from GOST™ (Global Ocean Security Technologies – formerly Paradox Marine) provides global tracking and monitoring of recreational and commercial vessels and features an integral, long life rechargeable battery that will allow the unit to operate up to 180 days between charges. Boating World magazine writer Nick Felix recently completed a do-it-yourself installation of a marine misting system manufactured by Mist-er-Comfort, Inc. aboard his 2004 Wellcraft Coastal 270. The step-by-step installation process has been posted on the Boating World web site and can be followed by clicking here or by visiting http://www.boatingworld.com/Newsletter/Article/Mister-System. 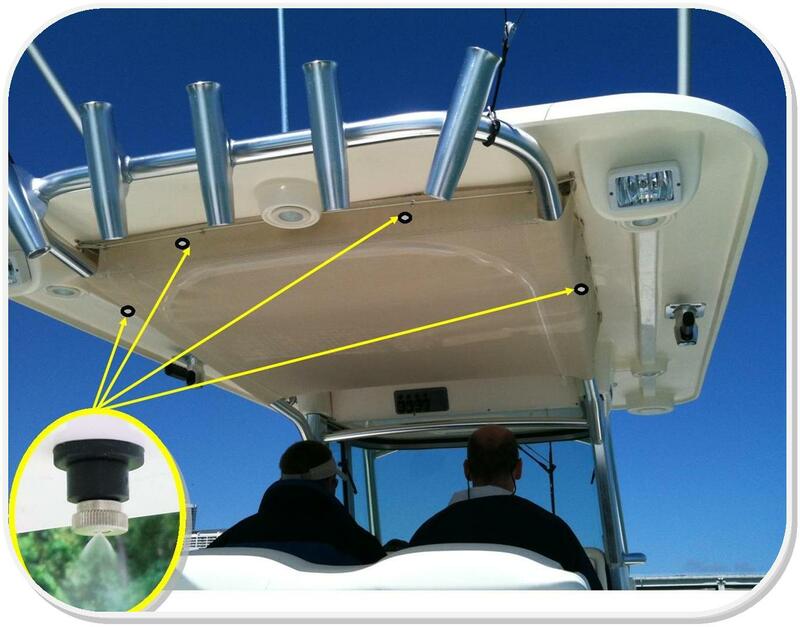 Mist-er-Comfort misting systems can lower cockpit temperatures as much as 25 degrees F on the hottest days and can be installed easily on biminis, T-Tops or hardtops on any size boat. All Mist-er-Comfort components are specially-designed and UV-rated for the harsh marine environment. For esthetic purposes, the misting tube can be concealed within the structure of a boat. Multiple misting zones can be operated from a switch on the console. Misting systems can also easily be added even if there is no water tank on board – tank kits are available. 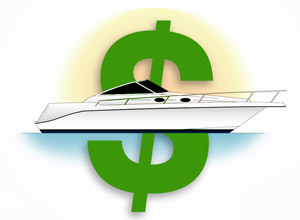 Recreational boat owners who paid state sales taxes on a boat purchase, or those who secured a loan to finance a boat, may have some tax deductions coming to them when filing their 2011 federal income tax return. The tax tip comes from the nation’s largest boater’s advocacy group, Boat Owners Association of The United States (BoatUS). The Sales Tax Deduction For boat owners who paid substantial state sales taxes on a new or used boat purchase last year, the Tax Extenders Act of 2008 continues to offer a federal tax deduction for state sales taxes. Boaters must choose either the state sales tax deduction or state income tax deduction on their federal tax return – you cannot take both. The Boat Loan Deduction For those owners with a secured boat loan, mortgage interest paid on the loan may be deducted from your federal income taxes. Taxpayers may use the home mortgage interest deduction for one second home in addition to their primary home, and must itemize deductions on their returns. A boat is considered a second home for federal tax purposes if it has a galley, an installed head and sleeping berth. During federal budget negotiations last year, Congress sought to eliminate this deduction for boat owners while keeping it in place for second home and recreational vehicle owners. BoatUS lobbied aggressively for a more equitable all-or-nothing approach when applying the deduction, and boaters did not get unfairly singled out. Sorry, AMT For those who fall under the Alternative Minimum Tax, most deductions are unavailable. Boaters are urged to contact a tax preparer or financial advisor for more information. About BoatUS: BoatUS – Boat Owners Association of The United States – is the nation’s leading advocate for recreational boaters providing over half a million members with government representation, programs and money-saving services. For membership information visit www.BoatUS.com or call 800-395-2628. Expanding its range of GMRS radios, Cobra Electronics introduces two powerful two-way radios. The affordable CXT135 and CXT235 feature advanced NOAA Weather Radio (NWR). The CXT235 also has All Hazards Alert, providing audible alerts. The new NWR feature allows listening to the NOAA Weather Radio All Hazards broadcasting of continuous weather information directly from the nearest National Weather Service nationwide network of transmitters. NWR relays official weather service warnings, watches, forecasts and other hazard information 24 hours a day, 7 days a week. 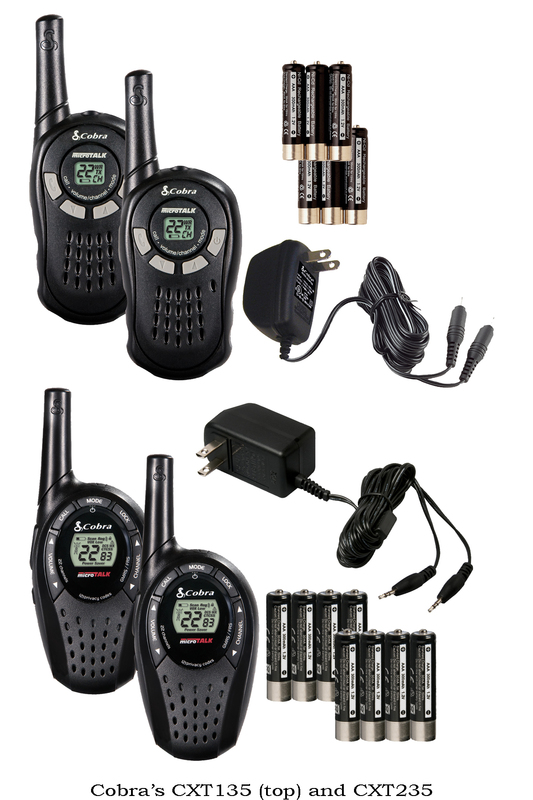 The CXT135 (top left) is the most economical weather radio on the market. It has a range of up to 16 miles, Power Saver circuitry for extended battery life, Call Alert and rechargeable NiMH batteries. The powerful CXT235 includes all the features of the CXT135, plus a larger range of up to 20 miles. It also features NOAA All Hazards Alerts, which provide loud audible tones in the event of a weather alert or other emergency. The NOAA Alert feature activates an automatic alarm on the radio if NOAA sends a tone alert with the warning. The tone will activate an alarm on the CXT235, even if the audio volume is turned down. This is especially useful for warnings which occur at night when most people are sleeping. The 2012 two-way radio lineup also includes the CXT425, CXR725, CXR825 and CXR925 models. They also feature maximum performance and a range of up to 35 miles, advanced NOAA weather and emergency radio capabilities, rechargeable high-performance LiON batteries and desktop chargers and Cobra’s Rewind-Say-Again digital voice recorder. Cobra Electronics’ CXT135 has a MSRP of $49.95, while the CXT235 is listed at $59.95. They will be available in March. Cobra Electronics is a leading global designer and marketer of communication and navigation products, with a track record of delivering innovative and award-winning products. Building upon its leadership position in the GMRS/FRS two-way radio, radar detector and Citizens Band radio industries, Cobra identified new growth opportunities and has aggressively expanded into the marine market and has expanded its European operations. The Consumer Electronics Association, Forbes and Deloitte & Touche have all recognized Cobra for the company’s innovation and industry leadership. To learn more about Cobra Electronics, please visit the Cobra site at www.cobra.com. Follow Cobra on Twitter at www.twitter.com/CobraElectronic and Like Us at www.facebook.com/CobraElectronics. Even small vessels can have big exhaust issues in engine rooms and other enclosed spaces. To prevent dangerous fumes from accumulating, Delta “T” Systems offers its compact but powerful new 3″ DC Blower. The 12 volt blower provides extreme air volumes at very high static pressures, rated at 125 cfm. 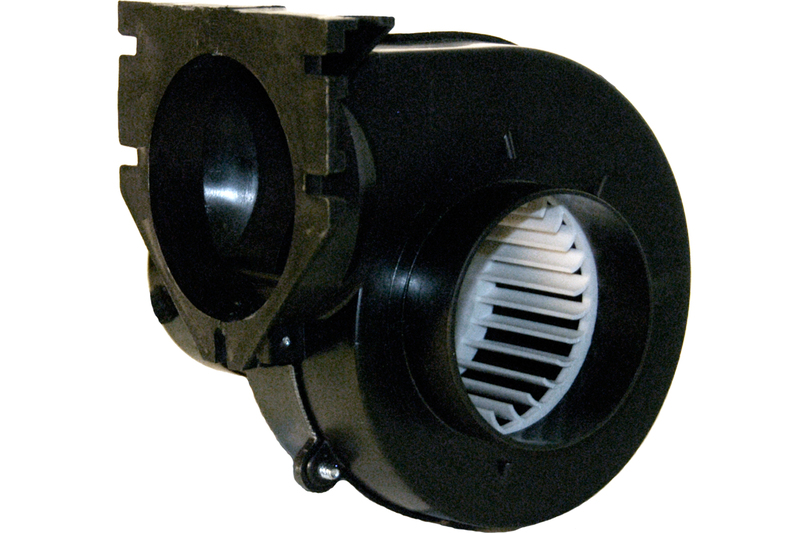 Unlike other blowers, this model is continuous duty rated for long-term reliability. Ideal for gasoline engine applications, it is fully ignition protected. This efficient air mover features a flange mount exhaust port to simplify installation. 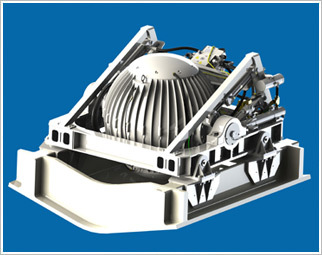 Its rugged, marine-grade, ABS plastic housing resists corrosion. The stainless steel shaft and bronze bearings provide smooth, quiet operation. It measures 7″ W x 6″ H x 6″ D.
The 3″ DC blower from Delta “T” Systems is assembled in the USA. Extremely aggressive introductory pricing with quantity discounts are available for distributors and OEMs. It retails for $98.92. If anyone can understand the importance of unhindered speed and beauty, it’s the man behind luxury automaker Ferrari. Seakeeper gyros deliver superior roll reduction in many sea conditions, without drag-producing appendages. Their quiet operation and low power consumption make them the stabilization choice over fins, including for underway use. The multiple benefits of gyro stabilization were greatly appreciated by Ferrari chairman Luca Cordero di Montezemolo who during the last two seasons rented the Ocea 108 Commuter, Marhaba, recently fit with two Seakeeper M21000 gyros. A “Control Moment Gyro,” it employs the physics of gyro-dynamics to deliver a powerful righting force that stabilizes a yacht. The gyro’s flywheel spins at high-speed in a near vacuum, inside an aluminum spherical housing. This virtually eliminates air friction, which allows Seakeeper gyros to weigh much less, and consume very little power. Montezemolo experienced the power of Seakeeper gyros himself during a side-by-side comparison of a fin and gyro-type stabilizer on yachts off the coast of Viareggio, Italy. “We considered the Seakeeper gyros’ high rotational speed, which created a high value of angular momentum. Also, they produced limited noise and added limited weight,” said Montezemolo. Seakeeper gyros also include an active control mechanism which optimizes the gyro’s performance over a wide range of sea states. A passively controlled gyro must be turned off in the roughest conditions to keep from damaging itself, whereas the Seakeeper Gyro can continue to operate when it is most needed. A pair of retrofitted M21000 Seakeeper Gyros were able to help keep Marhaba on an even keel. The M21000 gyros were retrofitted in the lazarette, one port and one starboard. Marhaba already had a hydraulic fin system in place. Subsequent sea trials 2 miles off the coast of Genoa, Italy, verified the performance of the Seakeeper gyros, both underway and at zero speed. Though seas were relatively calm on day one for underway testing, with light winds and short, choppy waves with estimated maximum heights of 0.4m, when compared to the performance of the yacht’s stabilizing fins, Seakeeper proved its capabilities extremely well. With Marhaba travelling at 10 knots in beam seas, the gyro and fins were engaged separately, and then used together. The Seakeeper gyros, operating alone underway, reduced the standard deviation of the roll rate from more than 1.2 degrees to 0.8 degrees. The gyros also reduced the standard deviation of the roll angle from nearly 1.0 degrees to 0.6 degrees, producing results very similar to those achieved by the fins alone. Zero speed trials performed aboard Marhaba further prove the versatility of the Seakeeper gyro’s stabilization capabilities. On day one, even in such calm conditions, the combination of waves and the yacht’s natural roll at zero speed produced uncomfortable motion. The Seakeeper gyros achieved an impressive 76% resonant roll reduction. On day two of the sea trials, a storm blew in, creating breaking waves with maximum heights of approximately 1.25m. Those onboard even witnessed a waterspout nearby. 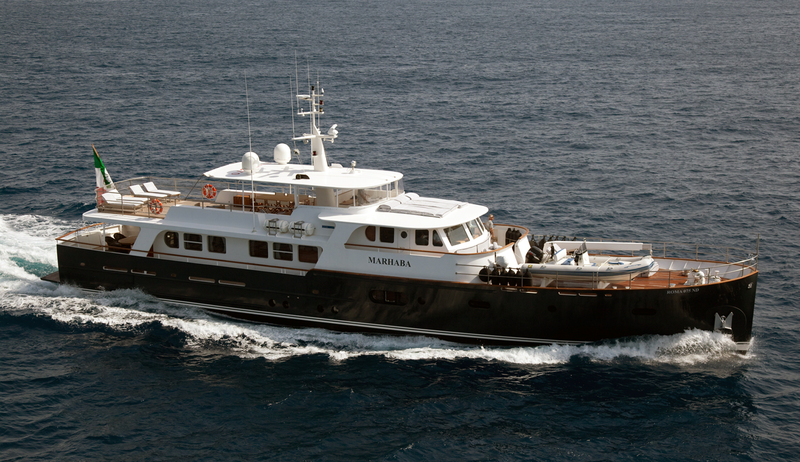 Again, with the Seakeeper gyros engaged, a powerful 77% zero speed resonant roll reduction was achieved aboard Marhaba. With all the power-saving and longevity benefits of LED lights, it’s easy to see why boat owners replace traditional light bulbs with LEDs. But doing so with navigation lights can violate the fixture’s certifications. This has serious consequences, as US Inland Navigation Rules and International Navigation Rules carry the force of federal law. 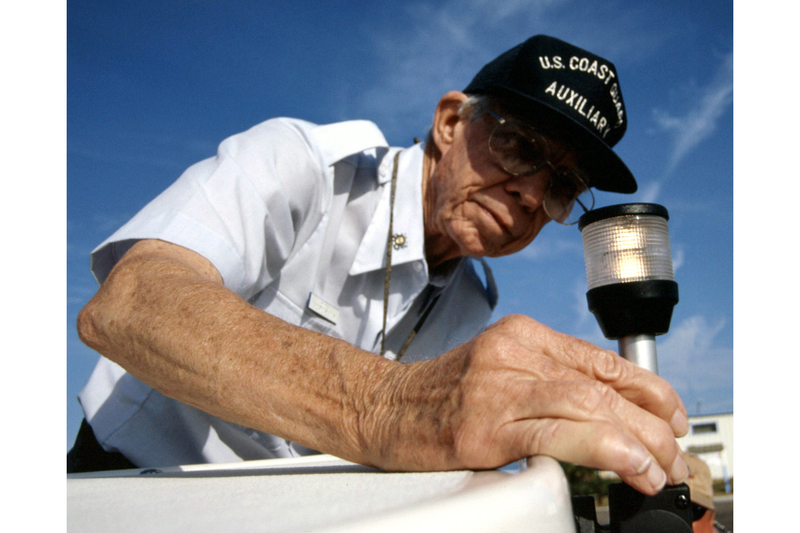 Making sure you have the properly certified and approved bulb, lens, and wiring for any navigation light will mean safer boating for everyone. A wide variety of replacement bulbs are available, including LED bulb conversion kits. Simply finding one that fits the fixture won’t assure the boater of a properly certified navigation light, unless the lamp manufacturer has third party-certified it for their own lamp. Cappel notes that compliance with the Navigation Rules is the boat operator’s responsibility, not the bulb manufacturer’s. Industry specifications and certifications are in place for safety. Though seemingly simple, the red, white and green navigation lights are thoroughly tested by a third-party for light intensity, color, angles of visibility, corrosion and temperature. “The lamp assemblies are designed and tested with a specific light source,” said Brian Goodwin, technical director for the American Boat and Yacht Council (ABYC). Precise tests determine if light reaches nautical mile requirements. Light output must also be sharp at the edges and smooth across the arcs of visibility. This prevents light from appearing to flash like a buoy rather than project consistently when the boat rotates and rocks. Goodwin notes that there are other causes of failure if the owner replaces a bulb with one other than the original type. For example, LEDs installed in a housing intended for a hot bulb may dim unexpectedly. “Unless approved and tested by the light fixture manufacturer, LED retrofit bulbs do not belong in navigation lights,” he said. The simple solution for owners wishing to upgrade to LED navigation lights is to replace the entire light assembly with a certified product. This ensures their navigation lights are safe, and legal.